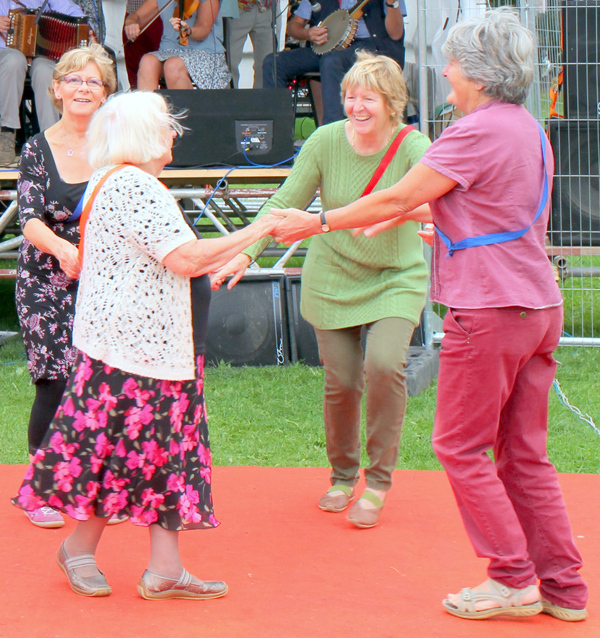 You Tube Video " Folk Feet Portishead "
above - we have loads of fun with lots of laughter! Live Music - musicians £3 - new musicians welcome too. 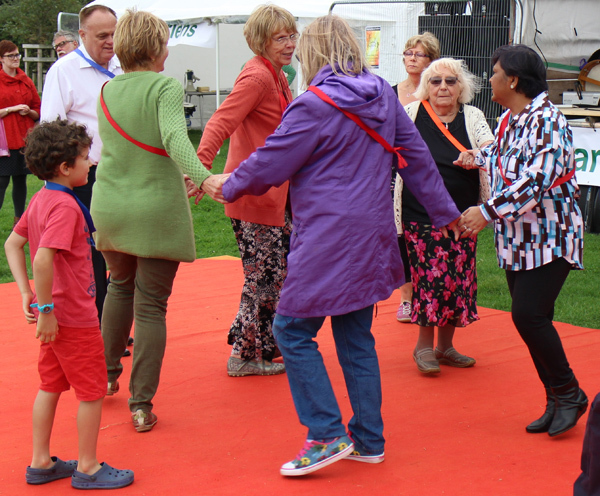 Ideal for all ages - many people come to socialise, listen to the music and watch the dancing - but most want to get up and have a go themselves! Lots of people have made good new friends. Laughter Guaranteed !!! 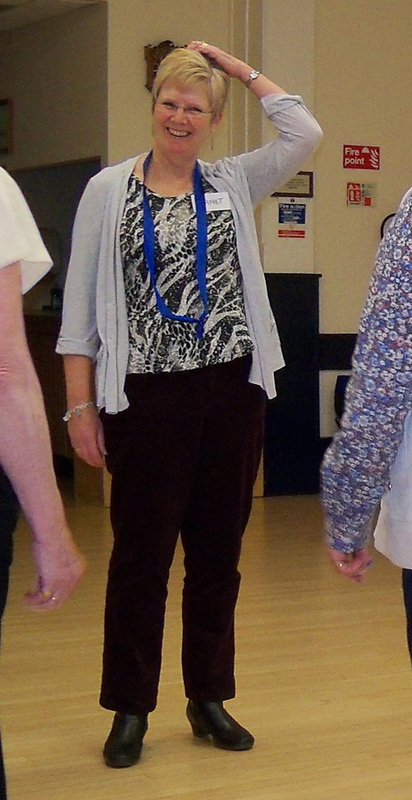 The first Tuesday morning group was held on 3rd September 2013 and has continued weekly at the Folk Hall in Portishead 9.30am - 11.30am and is a real success not only as a dance, but also as a social morning with people coming to listen to the music, watch and socialise. 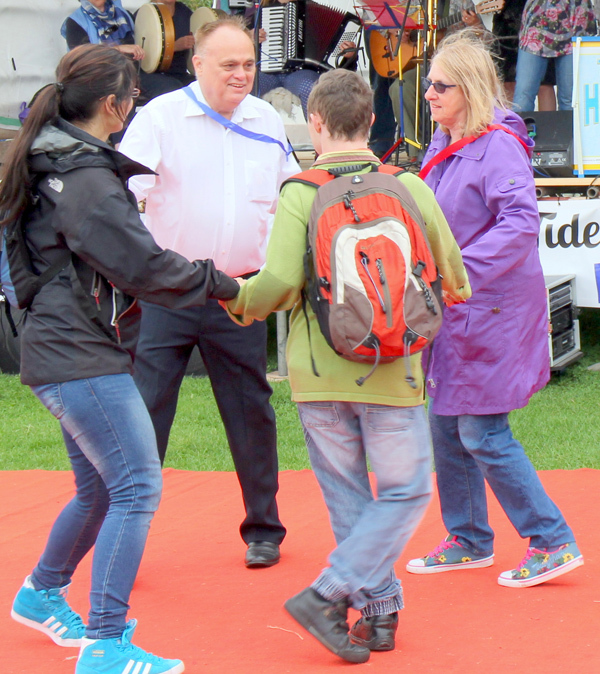 New band members and dancers always welcome. 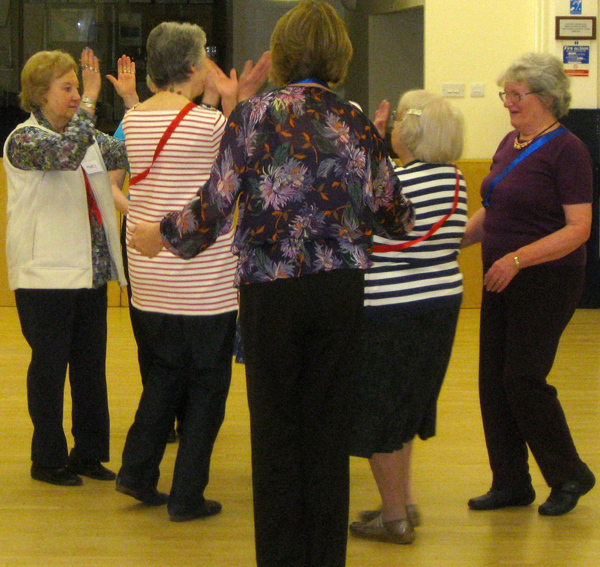 Musicians and especially those who come to any of Jill's music groups are warmly invited to join the band. Click Here for a list of the tunes we play - and follow the link (or scroll down) to the tunes for Tuesday mornings. You can learn the tunes at the music groups and print out the music to access the tunes immediately to play at one of the dances. The tunes can be heard played solo slowly and then up to dance pace with the Perfect Cure Band (and a score can be printed out if necessary) via the Tunes A-Z index on this website. The Folk Hall has public wi-fi so all tunes are accessible via a tablet at this venue. 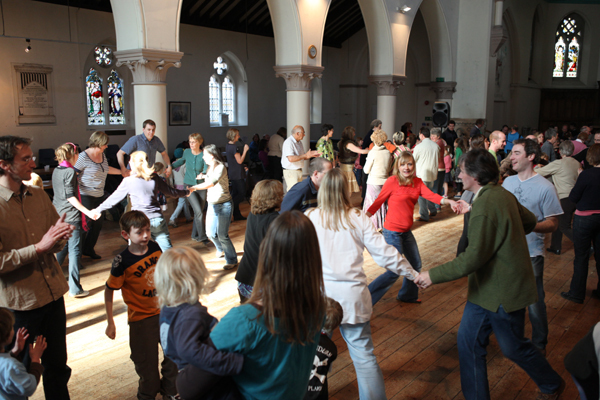 Entry to the Tuesday morning dance is £3 for musicians and includes a cup of tea/coffee. Just turn up when you are available. 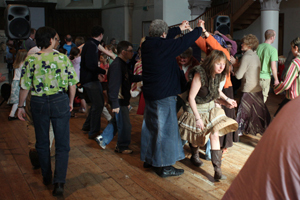 The Highly Strung Community Band has played regularly for barn dances for community events, clubs and charities for the past 15 years. If you would like to book the band please ring or e mail Jill. - and to visit our website to find out when we are playing next, click here! 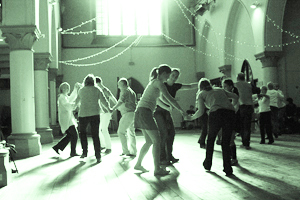 - Join the band every Tuesday morning at the Folk Hall in Portishead for a few tunes or a dance. All the dances are explained and walked through first and called throughout. 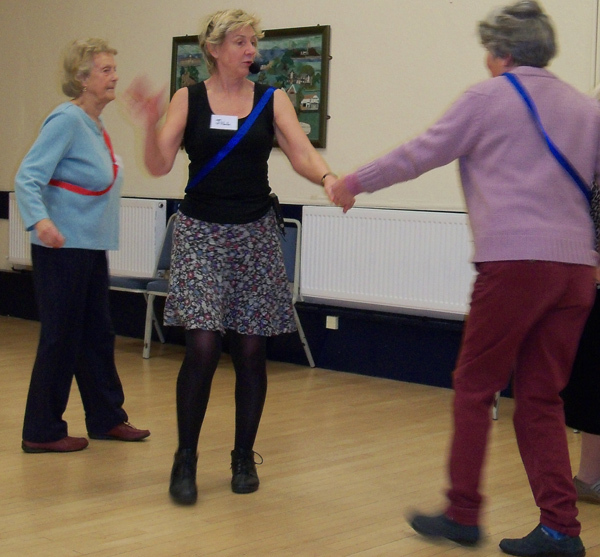 If you prefer a less energetic entertainment, The Perfect Cure Duo have an hour slide show presentation with live music and dance for social club meetings and lead participative sing-along of happy well-known songs from the 20s, 30s and 40s. 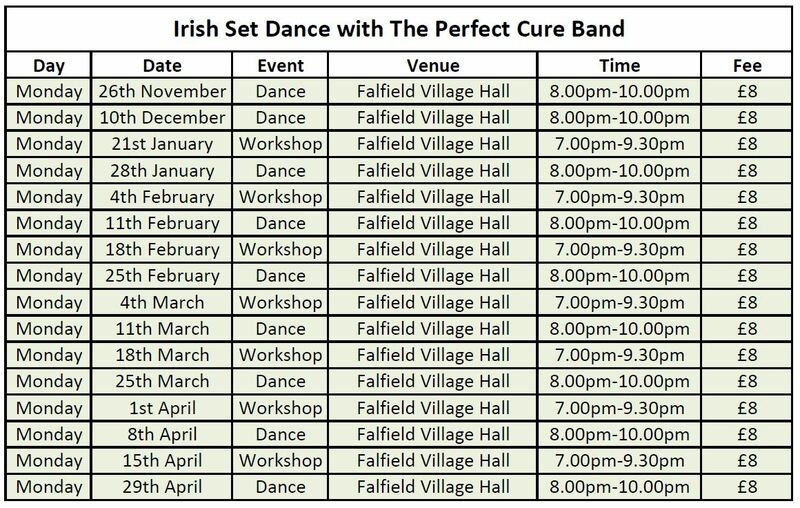 The Perfect Cure Band (click for our website) play for Irish Set dance at various venues - meet us at the Salutation in Ham, The Butcher's Hook in Thornbury, The Beehive in Bristol and Chippenham and Sidmouth Folk Festivals.